Do you grow organically? 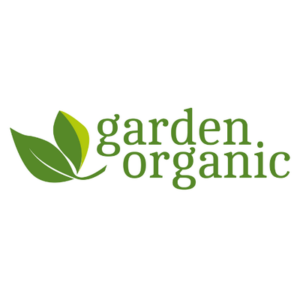 Here is a great resource to help you grow great fruit and veg at home from our friends at Garden Organic. 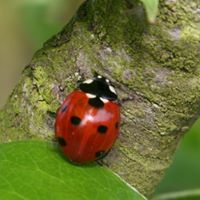 Like BigBarn Garden Organic work with schools to get kids growing veg and they are supporting our petition to get Food Growing on the national curriculum (please sign here). Soil will still be cold after winter frost and rains. Delay seed-sowing out of doors until you can see weeds/grass growing strongly – a good sign that soil is starting to warm up at last. Keep on top of emerging weeds, hoeing regularly to keep them in check and prevent seeding. Dig up any ‘volunteer’ potato or tomato plants, growing from plant debris left in the soil from last year’s crops. They could be carrying the disease potato blight. Cover large weedy areas with black plastic or thick cardboard to smother growth until you have time to deal with it. Single plants, such as tomatoes, courgettes and runner beans, will grow perfectly well through the cover. When planning what to grow and where, remember plants grow best when the soil conditions are right. Root crops and legumes (peas and beans) should thrive without any additional feeding. Greedy feeders (potatoes, tomatoes, brassicas) benefit from a dressing of manure, well-rotted compost or an organic fertiliser. Recommended rate of use: garden compost = 1 wheelbarrow load per 5 sq m (2.5 gallons per square yard), manure = half that rate. See Planning Your Planting for helpful tips on crop rotation. If sowing under cover indoors or in the greenhouse, ‘damping off’ can be a problem in young seedlings sown indoors. Sow thinly and don’t over water. Overcrowding and damp conditions promote fungus growth. Use cloches (or frames) with netting to protect brassicas from pigeon damage, and fleece to protect from flea beetle, cabbage root fly or aphids. In warm areas, watch out for asparagus beetle towards the end of the month. Pick off adults and larvae on sight. Slug control: Use all available methods to protect your new young plants. Where leek moth or allium leaf miner have been active, cover seedlings with fleece to protect them from egg-laying adults in April. Blossom in the fruit garden is one of the most beautiful sights in April. Every tree ablaze with flowers, holding the promise of the crops to come. Protect blossom when frost is forecast. Small trees or wall/trellis-trained trees can be covered overnight with fleece or other light material. Remove the cover during the day to allow pollinating insects to do their work. 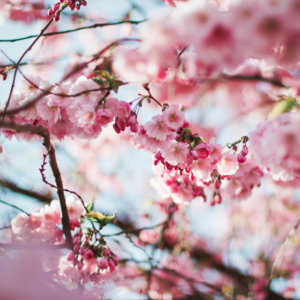 Remove blossom from newly planted fruit trees to conserve energy. In year 1 the trees need to focus on establishing a good root system. Water them, and any fruit bushes or canes in dry weather. Wall-trained trees or fruit in containers are particularly prone to drying out. Keep an area of at least 1m x 1m weed free around all fruit trees and bushes. Weeds and grass compete for food and water and can stunt the growth of a tree or bush. Apply straw mulches around/under established trees and fruit bushes, keeping a 15cm clear area around the tree trunk to deter mice. Top-dress container-growing fruit, using compost made up of equal quantities of loam, garden compost, coir and sharp grit. This is direct from Garden Organic’s website and we encourage you to follow this every month. We will continue to quote and expand on their input next month. 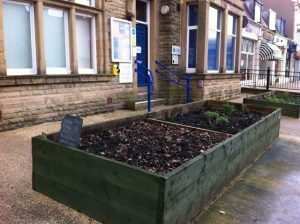 For more on grow your own and building communities around food please read our Next Big Idea blog here. Perhaps with Brexit we all need to get growing food? Many of our readers go on to grow their own crops, but often rather more than they really need for themselves. Please look out for places to sell your excess produce through our Crop for the Shop scheme. 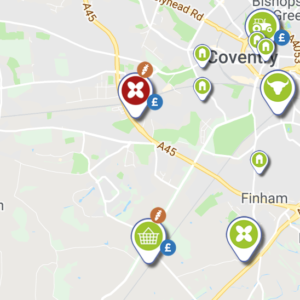 You will find places on our Local Food Map that have opted in with a carrot flag on their icon. You could even approach your local shop, pub or restaurant and supply them with fresh produce in return for a pint or meal. And please advise them to join our map if they do join in.